Newpenton supports a population of fewer than 10,000 sophonts. It is a member of Third Imperium in the Geniishir Subsector of Deneb Sector and in the Domain of Deneb. Newpenton, as a member world of the Third Imperium, holds the estate of an Imperial knight, a member of the Imperial Nobility charged with overseeing the world. This is the homeworld to Kurakhash, an extinct Minor Race. Newpenton supports a population of fewer than 10,000 sophonts. This world was once settled and developed, but the inhabitants have either died off or left leaving behind the remnants of their civilization. It is a member of Wilds in the Geniishir Subsector of Deneb Sector. This is the homeworld to Kurakhash, an extinct Minor Race. 80% of the world's population is the Major Race Vargr. The Kurakhash are an extinct Minor Race native to Newpenton (Deneb 2721). The Kurakhash were bilaterally symmetric amphibians with an elongated snout. They walked upright, with a pair of arms and a pair of legs. 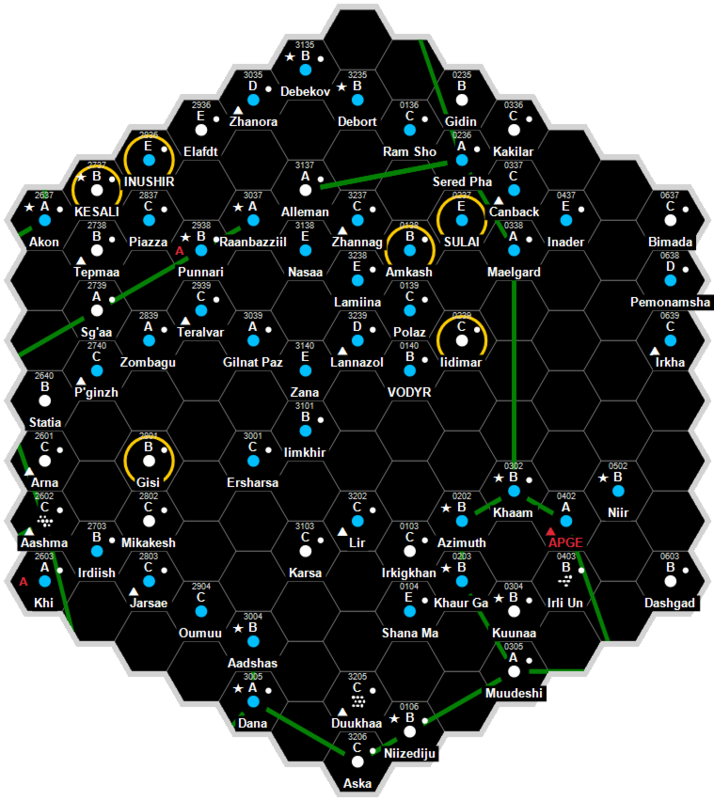 They are believed to have established a small interstellar empire named Adalmaki, dated from -57,000 to -15,000. Newpenton contains a major Kurakhash ruin, a spaceport complex that would have risen about 500 meters above the plain at the time of the latest occupation. Newpenton, as a member world of the Third Imperium has a member of the Imperial Nobility overseeing the world. Dave Nilsen. The Regency Sourcebook (Game Designers Workshop, 1995), 63. This page was last modified on 19 October 2018, at 20:48.